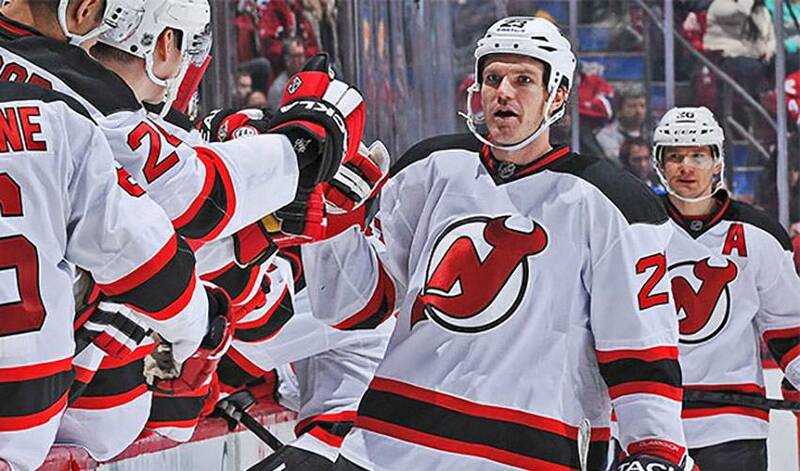 Whether it’s playing a leading role in New Jersey these days or engaging in a spirited game of mini sticks with his brother back in their younger days, David Clarkson can never seem to get enough of the good, old hockey game. He’s been banging in rebounds, wreaking havoc in the offensive zone and powering his way into prime scoring position on a nightly basis in 2012-13. It wasn’t so long ago that Clarkson, off to the best start of his career, offensively speaking, having netted nine goals and 15 points after 13 games with the Devils, was doing pretty much the same thing, albeit without two points on the line. Back then, though, his scoring touch wasn’t always picture perfect, so to speak. The Clarkson brothers were typical siblings, competitive and at times, combative with one another. But even when they would have the occasional scrap, hockey always quickly drew them back together. While their respective careers have taken different paths, the brothers have maintained their close relationship. Doug continues to keep tabs on his brother throughout David’s NHL career, including his impressive start to this campaign. Developing into a well-rounded player took root for David well before his NHL days. Gone are the days of tentative play and second guessing. That commitment to self-improvement has paid off not only for David, but for a Devils team bent on erasing the disappointment of losing in last year’s Stanley Cup Finals to the Los Angeles Kings. It’s something that still stings to this day. David’s doing his part to make sure the Devils get that opportunity. Doug knows just what to expect from his brother both on and off the ice. A list that includes his former mini stick partner, a fellow player and most importantly, a proud brother.